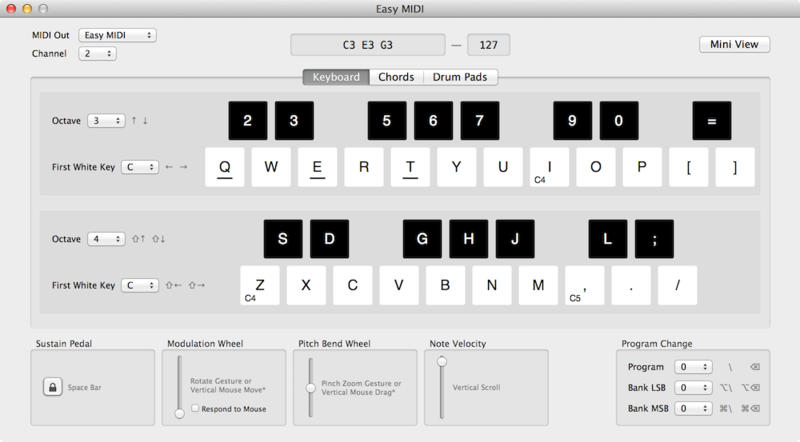 Easy MIDI turns your Mac keyboard, trackpad and mouse into a powerful MIDI controller. It sends MIDI notes and control messages to any soft synth or DAW such as GarageBand, Logic Pro, Ableton Live, Cubase, Digital Performer, Reason and Pro Tools. This is very useful when you want to jot down some musical ideas quickly and easily whilst travelling, sitting in a coffee shop or even on your couch at home. 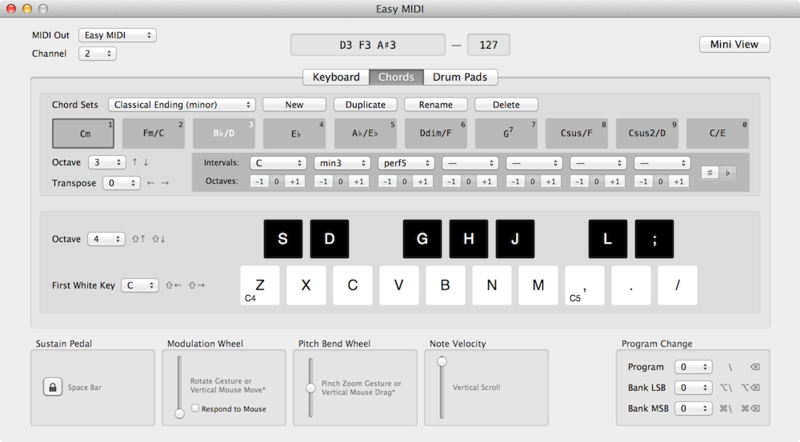 Experiment with melodies, chord progressions and drum patterns wherever you are with ease.